During teenage years it is important to establish healthy routines early. As they become more independent teenagers should take steps to adopt a healthy lifestyle and ensure good health for the future. This includes looking after their teeth and gums for a healthy smile and fresh breath for life. The main dental diseases are tooth decay (dental caries) and gum diseases (periodontal disease and gingivitis). There are a number of safeguards which can be implemented against these conditions. Tooth decay occurs when there is sugar in the diet. Bacteria which are present in everybody’s mouth will use this sugar as a food source and will produce acids when metabolising this sugar. It is these bacterial acids which cause tooth decay. 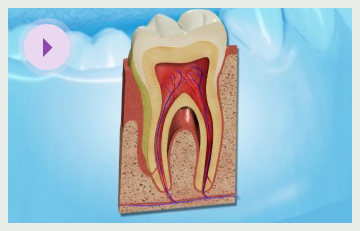 Tooth decay creates holes in the teeth and at its later stages can cause severe toothache and dental abscesses. The most effective way of preventing tooth decay is to limit the amount of sugar in the diet. Sugary food and drink should be reduced as much as possible. It is especially important to limit the number of sugary products taken every day, ideally only having them at meal times. Sugary snacks eaten between meals or just before going to sleep are particularly harmful. Tooth-brushing removes dental plaque and thus will reduce the amount of acid-producing bacteria. However, even effective tooth brushing will not prevent tooth decay if the intake (and especially frequency) of sugary foodstuffs is high. This is because bacteria can stick to teeth in areas which are inaccessible to normal tooth cleaning. Fluoride is a naturally occurring substance. It helps prevent tooth decay by strengthening the surface of teeth and making them more resistant to the acids produced by the bacteria. Fluoride is present in nearly all toothpastes and in some local areas the concentration of fluoride in the water is increased to prevent widespread tooth decay. At its early stages gum disease is completely reversible following simple treatment, including proper tooth cleaning. However, if gum disease persists then it will spread and damage the tissue of the jaw. Eventually the teeth will become loose, drift out of position and ultimately fall out. Gum disease is one of the most common causes of tooth loss in adults. About 10 percent of adults are especially prone to a destructive form of gum disease (periodontitis) and it is particularly important that teeth are checked by a dentist at regular intervals. They will be able to pick up the first signs of disease. To prevent gum disease it is essential that effective tooth-brushing is regularly carried out. Teeth should be brushed at least twice a day for at least two minutes a time. It is important that all the surfaces of the teeth are cleaned, especially around the insides and the area where the teeth meet the gums. Quitting a smoking habit is always much more difficult than not starting in the first place. Smokers should seriously consider giving it up as this will be hugely beneficial to their overall health, not just their mouth. Teenagers should have regular check-ups with a dentist who will be able to advise about all dental issues and detect any signs of developing disease. A dentist may on occasions refer to an orthodontist for orthodontic treatment and to a dental hygienist for preventative advice about diet, tooth-brushing and treatment of gum problems.